Measures approximately: 4.00 x 17.00 x 17.20 inches..
Houston, we have a costume. 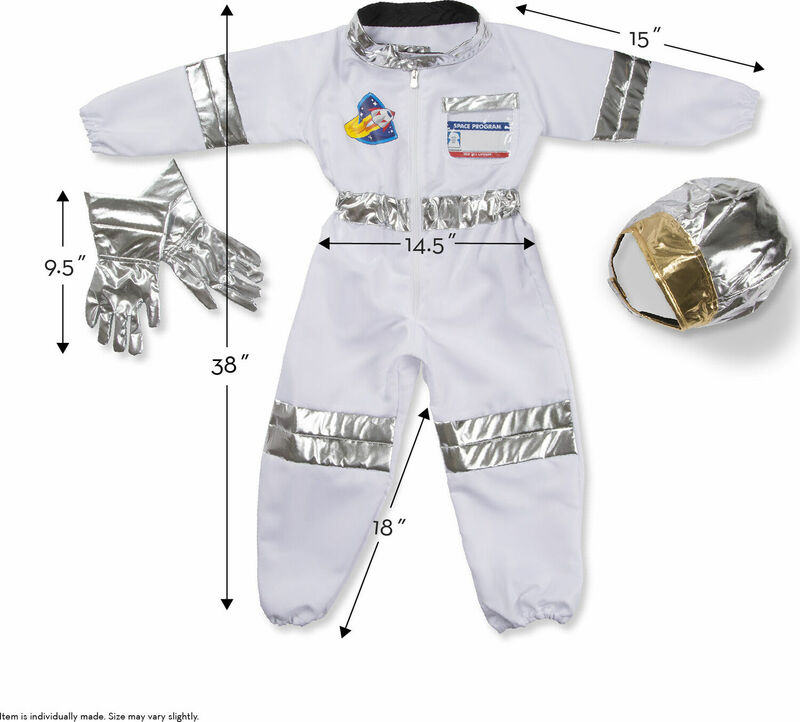 Kids will be over the moon when they get to step into the jumpsuit, slip on the stretchy silver gloves, and top it all off with the shiny helmet! 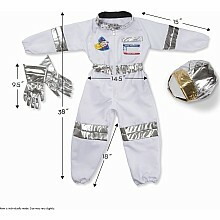 There's even a reusable name tag that proudly IDs your little space explorer, then wipes clean so another astronaut can have a turn. 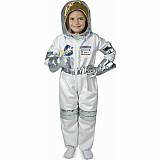 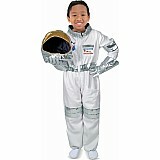 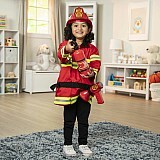 This durable role play set is suitable for ages 3 to 6 and ready for any mission, whether it's piloting an imaginary rocket, exploring the distant galaxies at the other end of the house, or just striding dramatically toward your spaceship. 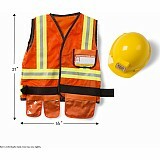 Made of sturdy materials and built to last, the entire set is machine washable too!